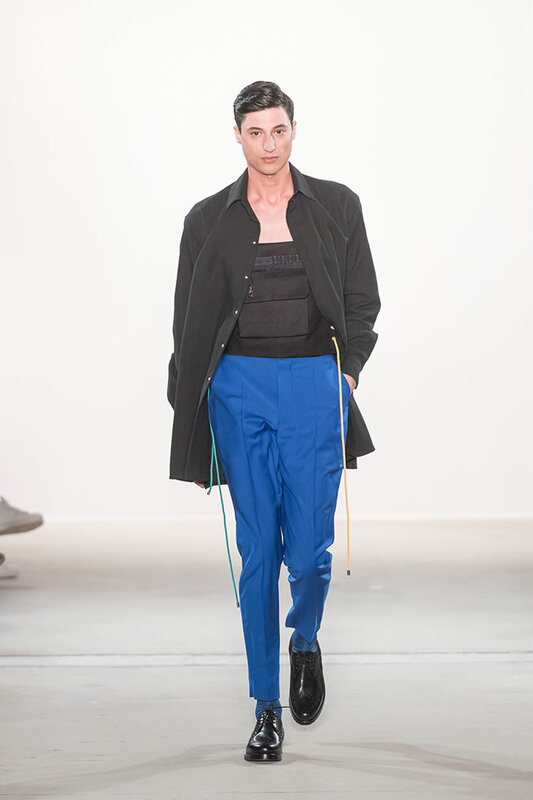 Latest Stunning Menswear Spring/Summer Collection 2018 by IVANMAN at Mercedes –Benz Fashion Week in Berlin. 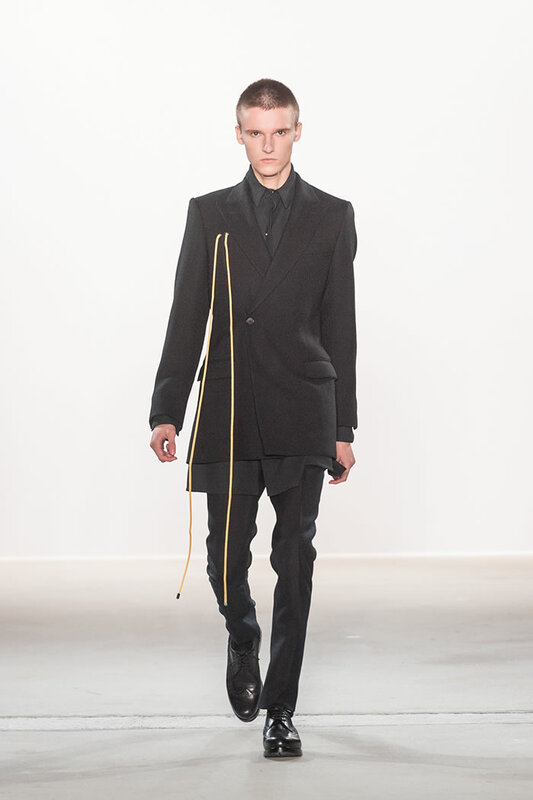 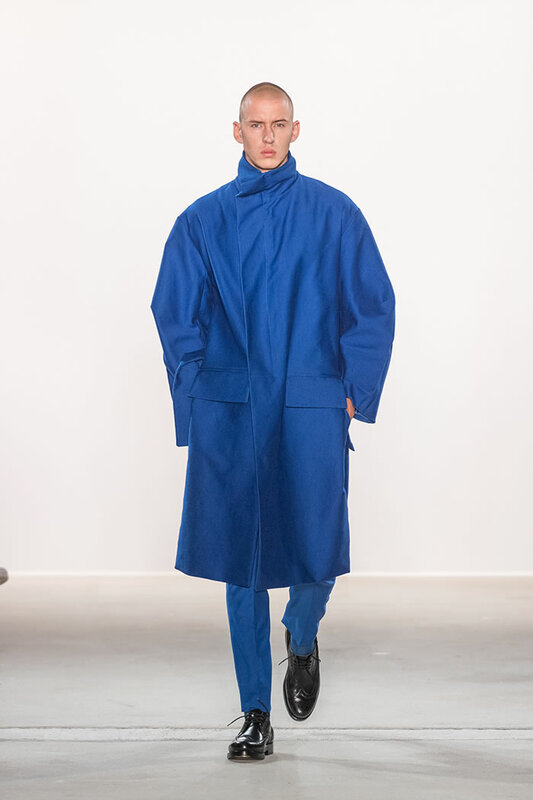 Menswear designer IVANMAN showcased its Spring/Summer 2018 collection at Mercedes-Benz Fashion Week for the next season, latest collection is inspired by both the German artist Joseph Beuys and typical work wear. 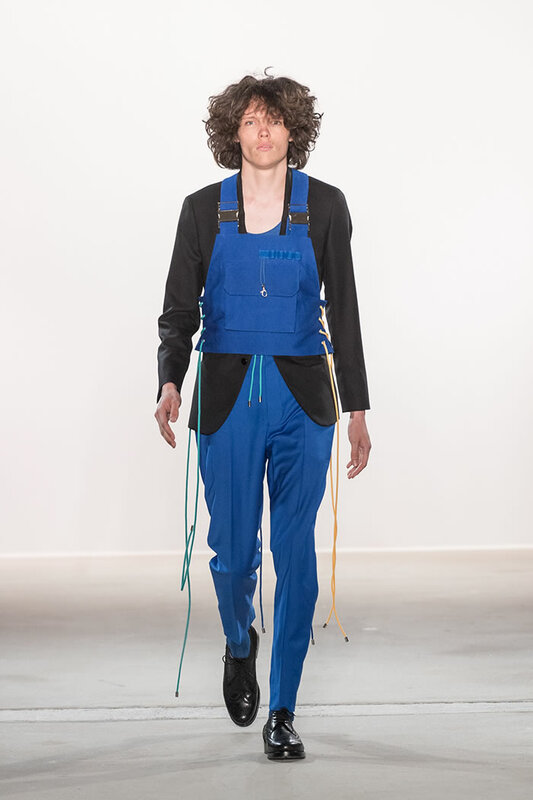 A bridge between the artist’s signature vest & traditional blue overall is created in this season’s show. 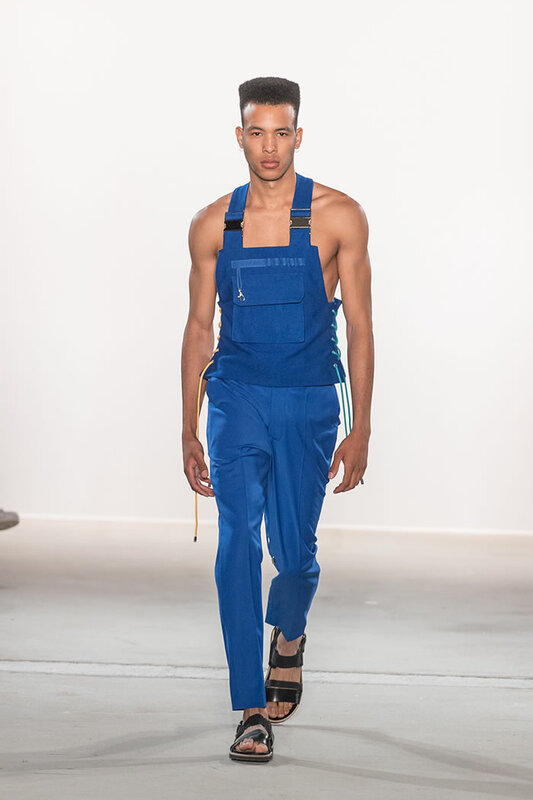 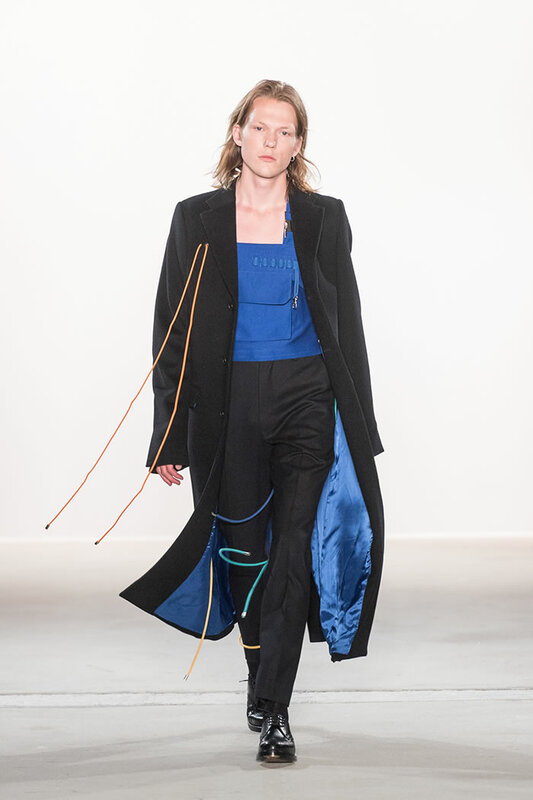 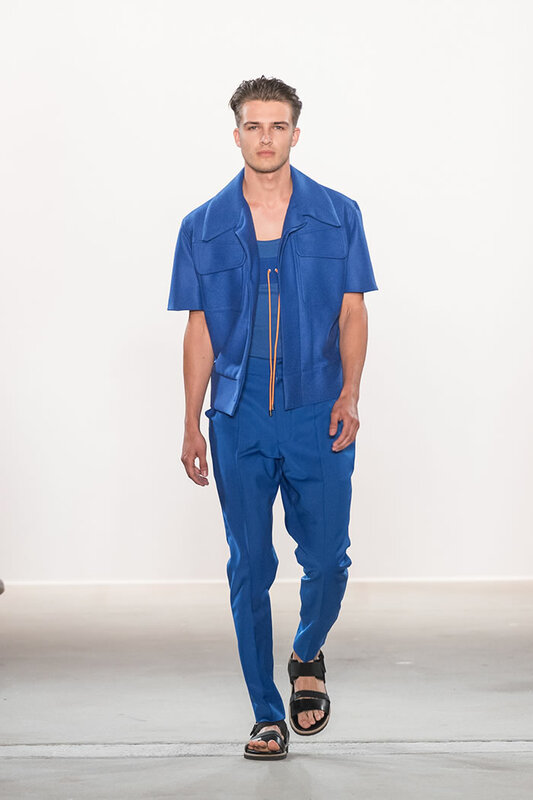 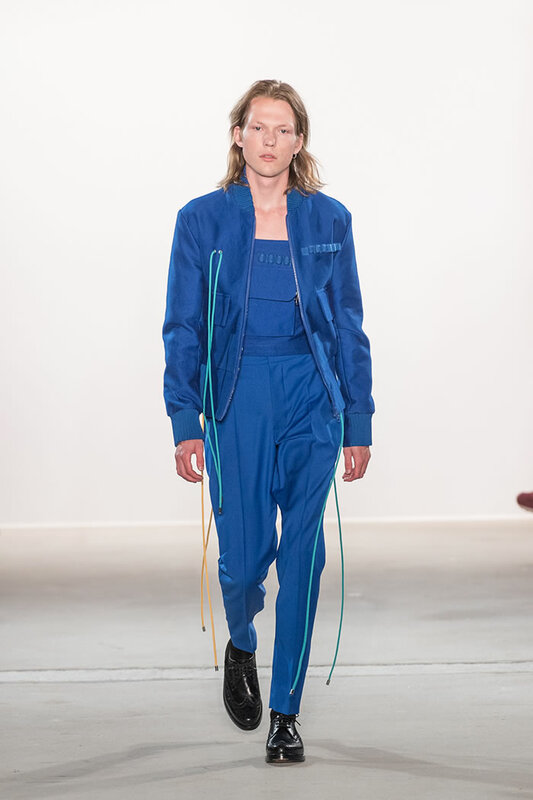 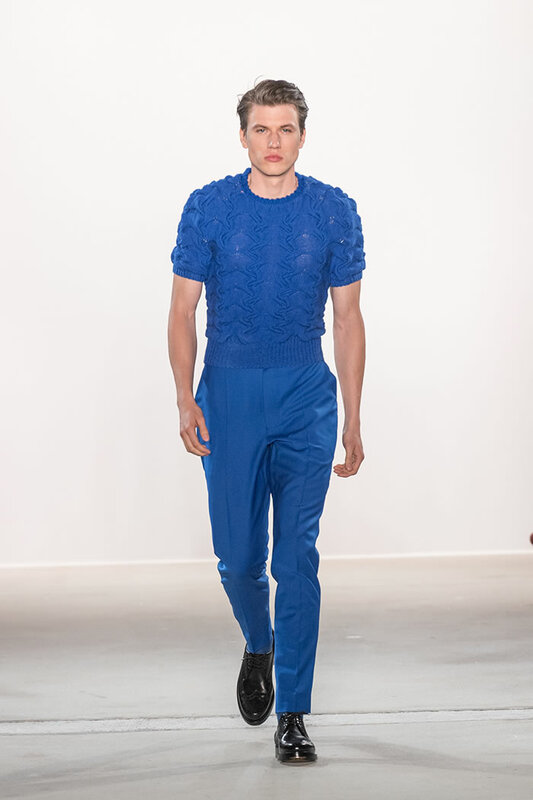 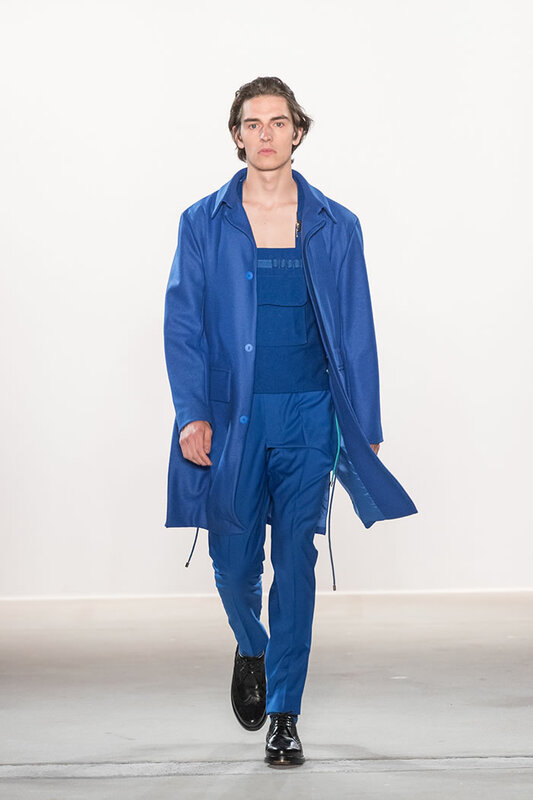 With a summery feel, Intensive blue tones, oversized cuts and relaxed vests are presented, and uniform work wear is reinterpreted with lacing details and colorful accents. 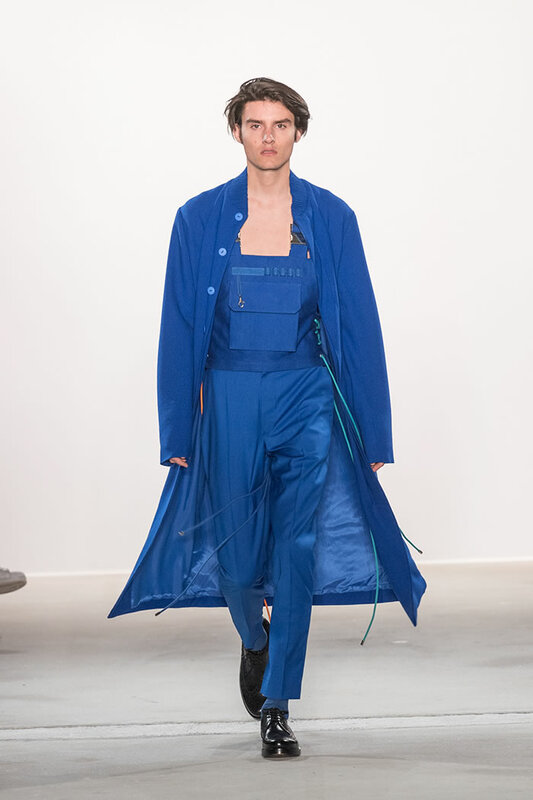 What remain true to form are the highly practical pockets. 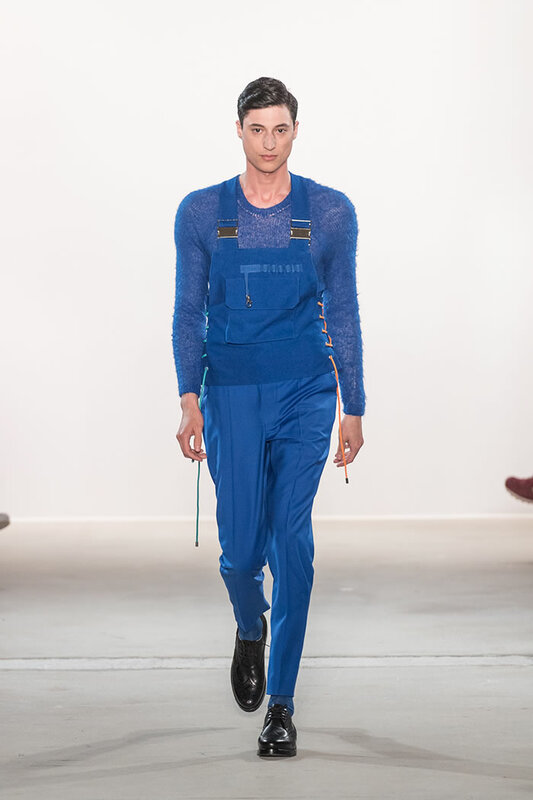 Each year IVANMAN shows a prodigious collection. 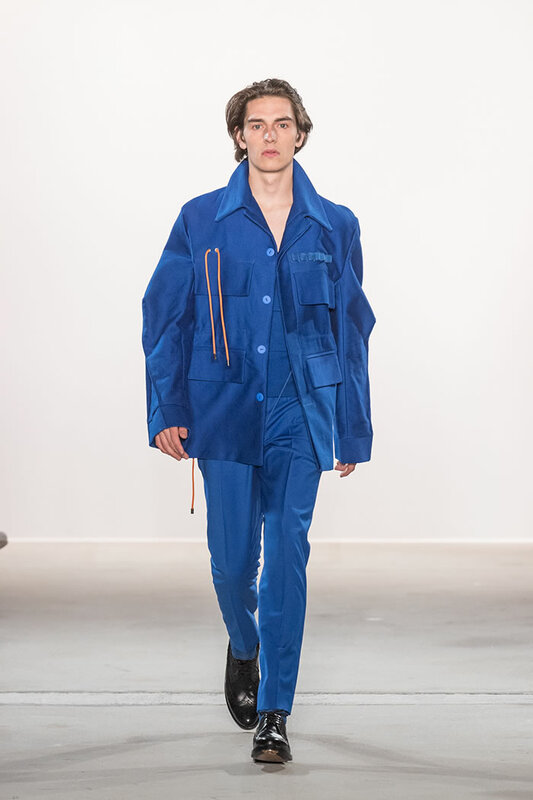 In cooperation with Monokel Berlin, custom-tailored jackets with a contemporary esprit bring the worker’s look into new social circles. 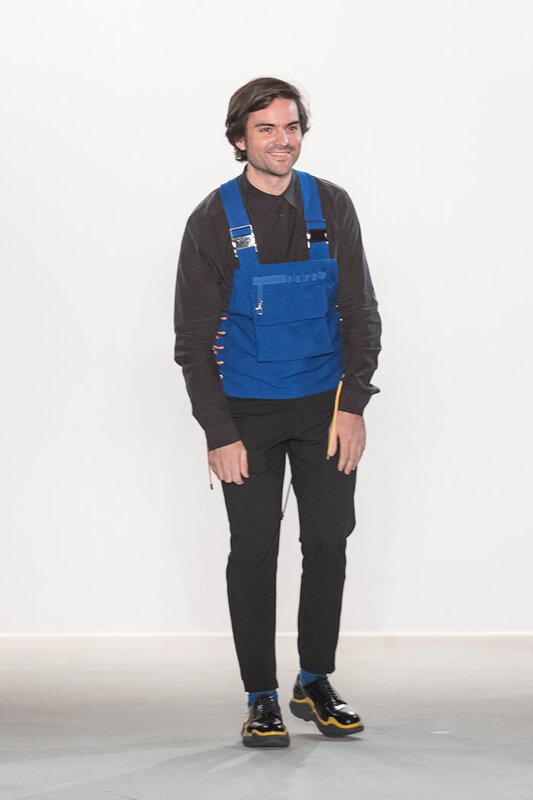 The Spring/Summer collection is an indigo blue interaction between art and work, thus retaining a balance between new ideas and the authentic IVANMAN style. 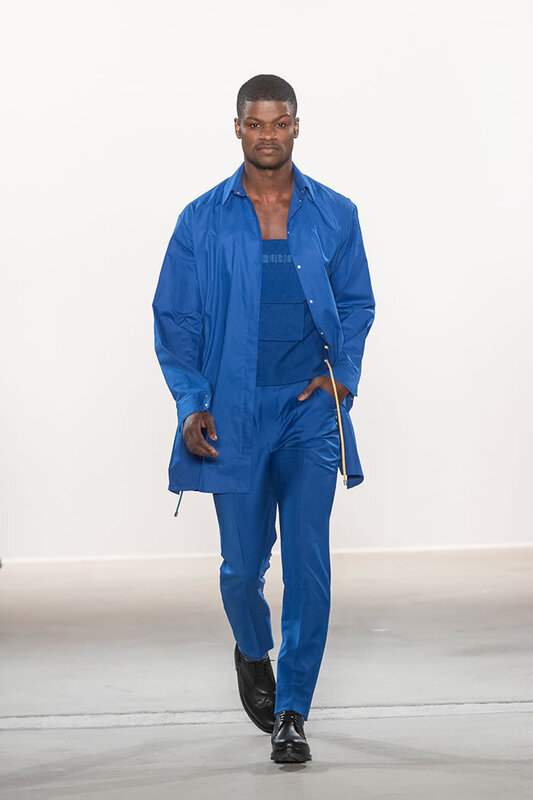 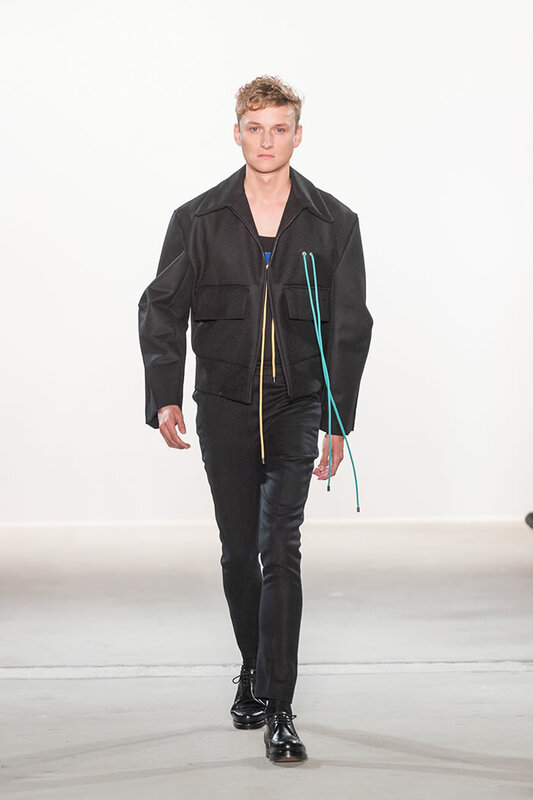 IVANMAN got the applause of the audience at the Menswear Spring/Summer Collection show during Mercedes-Benz Fashion Week 2018.